KPSC Recruitment 2017: The Karnataka Public Service Commission has otherwise called as KPSC which has been announced the advertisement for the recruitment of Senior Medical Officer (Sr MO) Specialist, General Duty Medical Officer (GDMO) post. There are nearly 1430 jobs. The aspirants who are seeking the latest govt jobs in Karnataka can apply for the KPSC GDMO vacancy 2017. If you going to apply this recruitment before you can check the eligibility criteria on the notification. The interested and eligible candidates can apply the online application form start from 10-08-2017 and closing date of application on 11-09-2017. Further information like how to apply, educational qualification, age limit, selection method, application fee and other details given below. 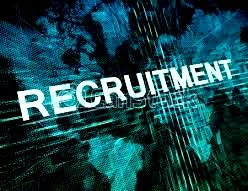 The applicants who want to the latest jobs in India then you must frequently visit our indrajobinfo.co.in site. Name of the Organization: Karnataka Public Service Commission. Number of Post: 1430 Jobs. 1. General Duty Medical Officer) :365 posts. 2. Sr Medical Officer ( Specialist in General Medicine) :257 posts. 3. Sr Medical Officer ( Specialist in General Surgery) :101 posts. 4. Sr Medical Officer ( Specialist in Obstetrics & Gynecology) :167 posts. 5. Sr Medical Officer ( Specialist in ENT) :59 posts. 6. Sr Medical Officer ( Specialist in Dermatology and Venereal Diseases (Skin)) :79 posts. 7. Sr Medical Officer ( Specialist in Anaesthesia) :99 posts. 8. Sr Medical Officer ( Specialist in Paediatrician) :158 posts. 9. Sr Medical Officer ( Specialist in Ophthalmologist) :80 posts. 10. Sr Medical Officer ( Specialist in Orthopaedic Surgeon) :31 posts. 11. Sr Medical Officer ( Specialist in Radiologist) :34 posts. Content Name: KPSC Recruitment Notification 2017. The applicants who have possess the MBBS with relevant stream or its equivalent qualification from a recognized university can eligible to apply for the KPSC vacancy 2017. For more info read the official notification available here. The age limit of the aspirants should not less than 21 years and not more than 42 years. The age relaxation will applicable for the candidates as per the govt norms. There is no fee for SC/ST/PH/Ex-Serviceman. Check the eligibility details on the official notification. Opening date of online application: 10.08.2017. Closing date of online registration: 11.09.2017. KPSC Recruitment Notification 2017 Download Here. Apply the Online Application for Karnataka Public Service Commission Jobs 2017.